Spinach authentically cooked in a gravy of onion, tomato and garlic, beautifully garnished with coriander to add the flavour. Curry of Portuguese origin, transitioned into magical Indian spicy curry, mixed with spices and masala's, garnished with coriander. A curry of unique taste, prepared with a cinnamon essence, in a mixture of curry masala, bay leaves, with coconut milk, simmered with meat of your choice. 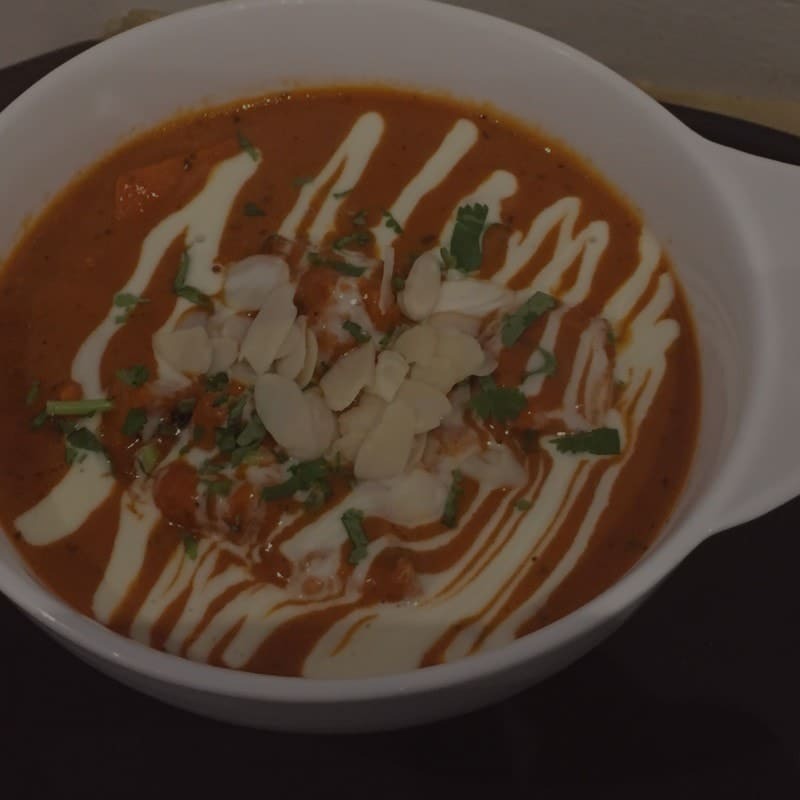 Curry made with yoghurt, cream and nuts, simmered deliciously with tender meat of your choice. Meat simmered in a traditional Indian curry paste, cooked to perfection with the meat of your choice. Made famous by the royals, this dish serves meat, cooked in intense oil and heat, simmered deliciously in onion and tomato curry. Extremely popular -mostly ordered, this dish is a combination of tandoori chicken, cooked in creamy tomato sauce, tempered with butter and flavoured with dried fenugreek leaves. Grilled pieces of chicken, cooked in a creamy gravy of tomato and selected spices, garnished with coriander. Selection of meat pot roasted with tomatoes, ginger and pounded spices. Chicken cooked with sundried fenugreek leaves in onion tomato gravy served in creamy texture. Fried chicken fritters sauteed in a combination of diced onion,garlic,soy-sauce,chili sauce and vinegar served in a curry. Selection of meat cooked in a curry of pounded pickled spices. Boneless chicken, cooked with variety of seasoned vegetables, sautéd in fresh herbs and spices. Grilled Fish gently simmered in onion, tomato and spicy gravy. Prawns cooked in garlic, lemon juice, paprika and crisped with butter, served in a curry sauce. Fresh marinated prawn, cooked gently in onion, tomato spicy curry, garnished with coriander. Prawn cooked in Indian spices, flavoured with curry leaves, simmered gently in coconut milk. Fish fillets cooked with diced capsicum, onion and tomato blended in spicy tomato gravy.